Haakaa is a 100% family owned and New Zealand run company with an exciting product range all made using environmentally friendly and safe raw materials such as stainless steel, glass, bamboo, and natural rubber. 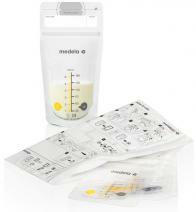 Their Haakaa Breast Pump is an economical, easy, quiet, efficient way to express milk while you're on the go. All haakaa products are designed and tested in New Zealand, Manufactured in selected advanced international factories under strict quality controls and successfully tested against the worlds highest safety standards (such as European EN14350 and US FDA).